Blogthulhu continues! 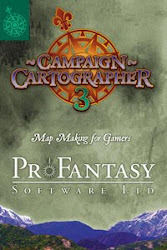 I've been looking at how to structure a Cthulhu campaign and enable some of the free-form sandbox play we enjoy so much in old school D&D and avoid the linear rail road. The sandbox style is one where the players have a high degree of choice and agency, there's no formulated story, and the events of the game unfold primarily through player interaction with the setting. Sandbox is far from the only successful style of play in horror gaming; at some point I'll take a look at some of the pros and cons of the famous published rail road campaigns in the genre, but for us, sandbox is the style we prefer. For the D&Ders, most of this idea should also carry over into weird horror gaming in any historical setting. Previous installments of the series have declared an overarching metaphor for horror gaming (points of darkness), discussed the difference between active and passive plot hooks, and then argued for the importance of an investigative organization to provide a campaign framework. A framework solves common problems in Cthulhu gaming, like access to plot hooks, replacement characters and continuity, and a lightweight approach to getting new characters in the game without a ton of back story. Now let's look at how choice defines sandbox play. There are two scales of choice that are important to me when enabling player agency - at the campaign level and at the adventure level. On the larger scale, there's the question of which adventure the characters are going to pursue; when they've made an adventure choice, I then want to make sure it's structured to support player planning, different strategies and roads to victory, and variability of outcomes. Let's use a simple example from the D&D space. The ubiquitous elf, dwarf and a cleric, at the local tavern, learn there are bandits in the nearby woods, a weird hermit stalks the north woods, a dangerous swamp lies nearby with rumors of reptilian marauders, and beyond the nearby hills, the legendary Caves of Chaos await. This is that top level of choice - what will they do? Once the party makes the decision on which rumor to investigate, the actual adventure site offers many different approaches to how the group resolves their exploration. In horror gaming that first level choice emerges via the plot hook. The first hurdle in porting a similar sandbox approach to Cthulhu gaming is to provide a "target rich plot hook" environment - the equivalent of deciding between stopping the goblins in the woods or heading out to the ruined moat house. The nice thing about the organizational frameworks from the last post is that the Keeper has a venue for introducing options to the players and giving them the same kind of experience. "According to these news bits from our clipping service, there's an art gallery in New York City displaying a series of paintings from that notorious artist, and there was a ritual murder in Central Park last week. It could be nothing. The other item that's come in off the wire is this announcement of a new fraternal order recruiting in Boston - anyone care to join the Hermetic Order of the Silver Twilight?" A risk with an organizational frame work is to provide real choice, and not make these plot hooks directives from an NPC boss in the hierarchy. One criticism I have with Delta Green is that "missions" tend to be presented as immediate orders from superiors - pretty much the opposite of what makes player planning in a sandbox fun. The default setting in Delta Green assumed the players are rank and file agents that take orders; in my preferred style of play, that would be adjusted. There would still be some reactive, urgent missions, but players would also be able evaluate intelligence and make decisions on longer term cases to pursue. It's a simple but important switch to flip. A nice opportunity emerges regarding plot hooks that are passed over; other NPCs in the organization may investigate those plot hooks instead, and that can add some interesting verisimilitude later on. "Remember how we sent Doctor Horton to investigate that Hermetic Order in Boston? He's stopped phoning in reports… we may have a situation." So one key component to this style of campaign is to have an input funnel that regularly presents plot hooks to the player characters to create that target rich environment. Looking at some of the sample organizations from the previous article, it could be projects or expeditions presented by the Miskatonic faculty - "Should we outfit a voyage to the Yucatan seeking the legendary crystal skull, or pursue this rumor that the tomb of Nephren Ka might have been found in Giza?" It could take the form of intelligence briefings gathered by Project Covenant, Delta Green, or The Laundry. The Gilchrist Trust might use a news clipping service as they try to find positive evidence of the supernatural on their globe trotting search. The Bookhounds scour auctions and estate sale posts seeking forbidden tomes. One interesting variant to the plot hook funnel is a true info-dump. 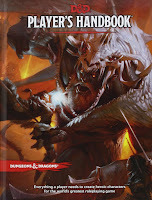 When I was thinking about a similar campaign in the D&D space last summer (The Library of de la Torre), the idea was that the characters could inherit the journal or library of a recently deceased adventurer who had made a career of exploring occult mysteries and fighting monsters. I saw this character as an analog to Howard's Solomon Kane, but you could port this type of idea into Cthulhu gaming just as easily. I hear there's a famous Lovecraft story that used the same technique… it's on the tip of my tongue… Call of… Cthul-something or other. Kidding aside, don't lose sight that The Call of Cthulhu story is essentially an info-dump of the memoirs of a deceased Lovecraftian investigator, and the protagonist sifts through the material and then launches his own investigations. It's the epitome of the target rich investigative setting. 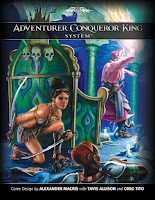 A published adventure following this approach is The Armitage Files; the campaign dumps a lot of information into the player's hands at discrete intervals, giving them massive freedom to determine how to proceed. Masks of Nyarlathotep does this as well. You may be thinking, Beedo, are you out of your mind? If I give the group multiple plot hooks every time we start a new adventure, doesn't that mean I need to generate all those adventures? I have a life outside of gaming, you mad monkey! I'm well aware of balancing sandbox constraints, and I've referred to it in the past as the sandbox triangle. It's a fair criticism, and I have a few suggestions. The first one is a really simple Pro Tip: Don’t present plot hooks at the beginning of a gaming session! Present the next briefing or opportunity to review leads at the end of a session, or in between sessions, so the group can discuss the pros and cons of different leads and make their choice ahead of time, giving you ample time to prepare for the following week without having to over prepare. It's a fair trade-off for giving them so much freedom to pick their adventures. Another recommendation is to leverage the massive back catalog of published adventures for Call of Cthulhu. Chaosium has been producing collections of short adventures for 30 years, they're all compatible with the current rules, and most are available in PDF. Couple that with short adventures from Miskatonic River Press, Pelgrane Press, and The Unspeakable Oath, and you've got a ton of material to intersperse with your own creations - just file off the plot hooks, which are typically passive plot hooks, and add your own that would bring them to the attention of an active investigative unit. There were some additional magazine publishers as well - The Black Seal and Worlds of Cthulhu - but I never collected them. The Black Seal was focused on the modern UK and I wasn't collecting when Worlds of Cthulhu was printed. I'm hoping Worlds gets converted to PDF some time. If you read those, let me know what you think of them. Alright, that's enough for now. I'll see where the Cthulhu muse takes me next, either a review of The Armitage Files (since I've mentioned it a few times now) or on towards open-ended adventure structures. Ciao! Worlds of Cthulhu is quite good. There are more than scenarios in those, and some of that stuff is also quite good. Pegasus Spiele still sells them from their site. You have to pay by bank wire transfer, and be prepared to bug them a few times to get things though! I agree - planning can be fun (though there is a trade-off when it crosses over into too much bookkeeping). My group at the time enjoyed Beyond the Mountains of Madness, but it certainly would have been better if the PC's planned it more instead of along for the ride. @Andreas: I remember seeing Worlds had a bunch of Averoigne articles, that's been a big draw for me. Bank wiring for a game supplement seems a bit extreme, though - maybe I'll drop a line and see if they'll be converting to PDF. A nice part about that sort of planning is that it can take place away from the table by email or texts or whatever if your players are pressed for time like most are these days. That way they can present the "final" documents to the DM/Keeper in advance, and get on with the results next play session. Just found your blog and am loving it. Keep up the good work! In addition to all the published scenarios you and other commenters have mentioned, there is a ton of free Call of Cthulhu scenarios on the Internet. Don't limit your search to just CoC either - any horror system like AFMBE, OGL Horror, GURPS Horror, etc. can easily be converted and/or stolen from. Nice, glad you like it. There aren't enough blogs with regular Call of Cthulhu features, so I'm endeavoring to get some more publicity for those games. The default setting in Delta Green assumed the players are rank and file agents that take orders; in my preferred style of play, that would be adjusted. There would still be some reactive, urgent missions, but players would also be able evaluate intelligence and make decisions on longer term cases to pursue. That's something I've ended up doing myself in my DG campaign. The current adventure is an introduction to a sandboxier phase in the game—my players are all fairly new RPG players so getting them fully into the proactive element has taken a bit of prodding. Because I want to nest a bunch of hooks inside it, I've actually started it as a 'target confirmation' mission, where DG tasks an agent with just figuring out whether anything supernatural is happening at all. Eventually I want to throw some more conspiracy-oriented (as opposed to horror-oriented) adventures at them, along with a straight-up reg'lar-folks-killin'-other-reg'lar-folks murder mystery in their too, and getting them to poke at whatever the Kanban chart tells me is up for each session. But I want to ease them into it; they already hate A-Cell (which is a start) but they haven't quite gotten into the 'follow-the-money' nitty-gritty of which detailed investigations are made. Delta Green doesn't need to have it all be orders-based if you take a leaf from the X-Files and give the players a bit more space to self-direct based on what they learn.